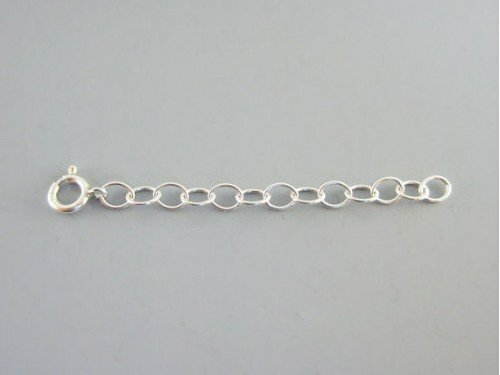 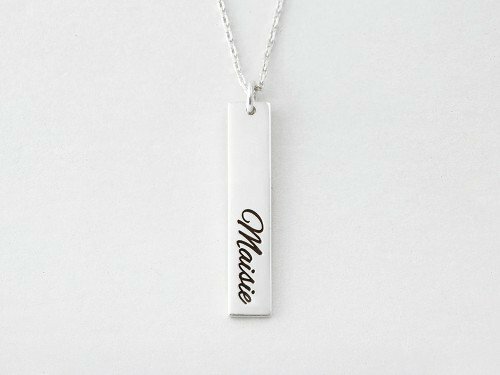 This sweet bar name necklace is an unique gift for any style lover. 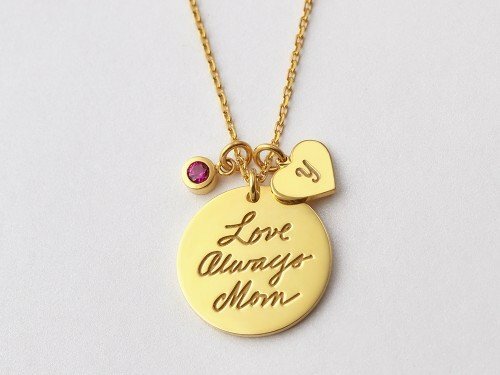 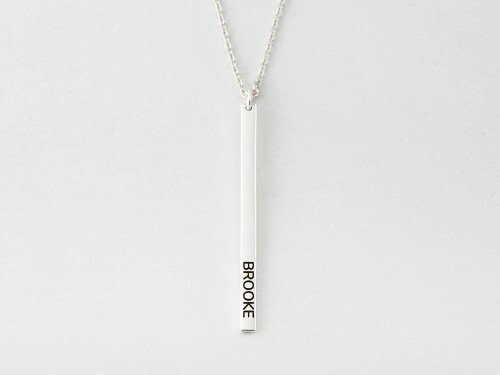 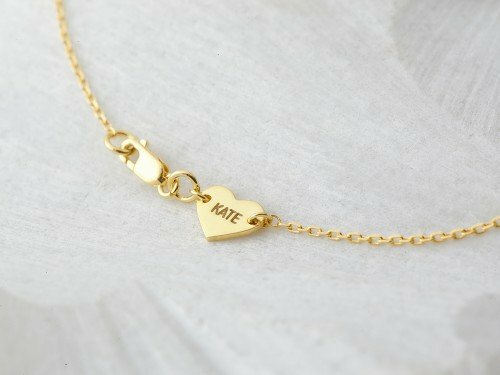 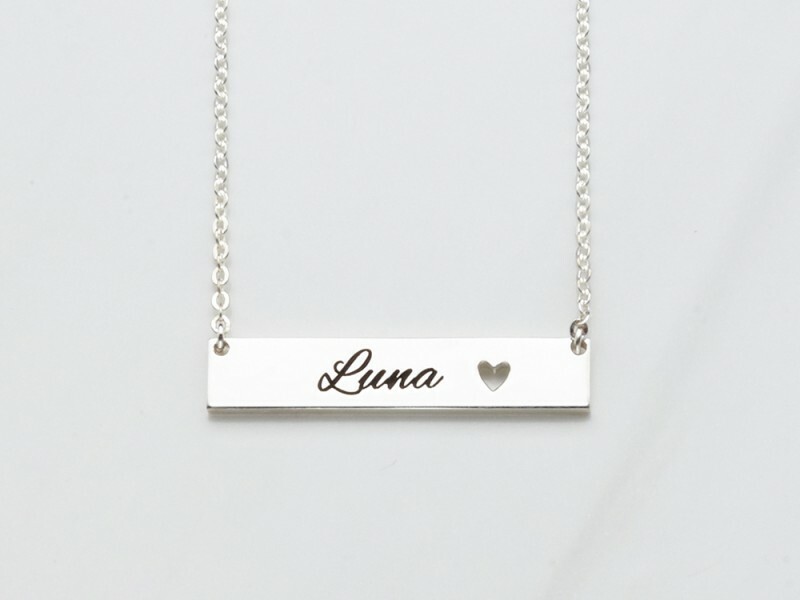 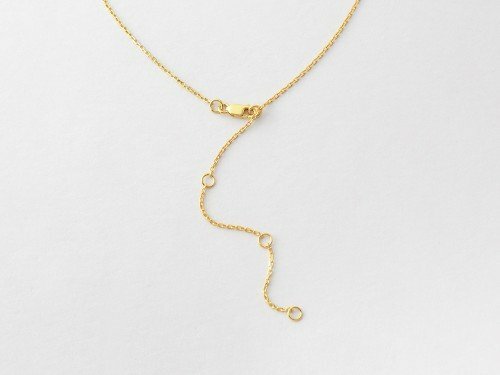 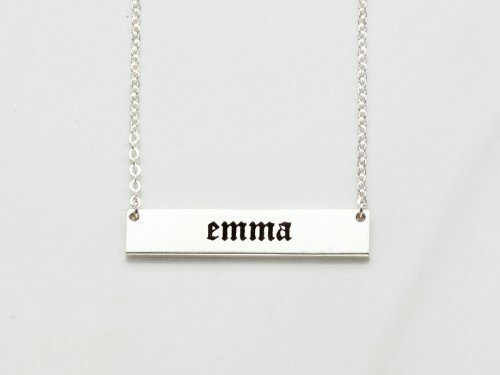 Done with a cursive name font, our personalized nameplate necklace is crafted with sterling silver. 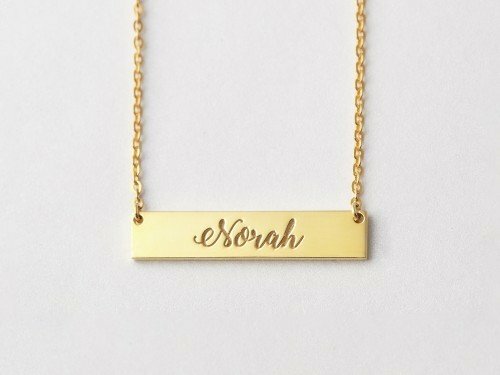 Gold plate options also available.